Providing optimal supportive care and effectively managing the symptoms and side effects of cancer-directed treatments is critical. Some of the factors that must be considered when treating children with cancer include pain management, nutrition, infection, and controlling therapy-related symptoms like nausea and vomiting. 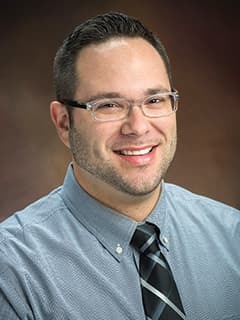 Jason L. Freedman, MD, MSCE, and researchers at the Center for Childhood Cancer Research (CCCR) are exploring new strategies to enhance patient safety, improve supportive care, and develop best practices for cancer treatment delivery and management of therapy-related side effects. Results from recent epidemiologic studies identified strategies that can be implemented to more effectively control chemotherapy-induced nausea and vomiting (CINV) and better identify potentially harmful therapy-related drug-drug interactions to improve quality of life of, and prevent harm in, these children. Other studies and quality improvement initiatives have shown that technology, education and multidisciplinary clinical process changes can be employed to improve influenza vaccination rates among pediatric cancer patients, many of whom are immunocompromised and more susceptible to flu and other infections. Significant efforts to optimize oncologic supportive care through clinical trials and quality improvement are currently underway at the Center for Childhood Cancer Research. These include trials evaluating effectiveness of prophylactic anti-infectives and anti-thrombotics, and quality initiatives for earlier identification and treatment of malnutrition, reduction of overall length of stay and outpatient management of fever. Efforts are also underway to develop and refine standardized algorithms for management of common oncologic issues to ensure consistency and safety in our approach to children with cancer.